This PDF 1.7 document has been generated by , and has been sent on pdf-archive.com on 13/02/2018 at 10:51, from IP address 202.179.x.x. The current document download page has been viewed 127 times. File size: 1.9 MB (7 pages). boaters and families with children give trips on this river rave reviews. tumbling through the old mining town of Idaho Springs. such as river otter, big horn sheep, and the occasional bear. Clear Creek trip in action! 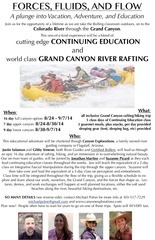 Clear Creek has family friendly sections and more adventurous sections. Per mile, Clear Creek has more rapids than most rivers you might raft. This file has been shared by a user of PDF Archive. Document ID: 00733816.